Mumbai : MullenLowe Lintas Group, which consists of three agencies – Lowe Lintas, Mullen Lintas and PointNine Lintas has hired Heather Gupta as Group HR Director. She takes over from Michelle Suradkar, the current Group Chief HR Officer, who is taking a break from work for personal reasons. During Michelle’s tenure as head of the HR function at MullenLowe Lintas Group, she has contributed towards numerous achievements including one-of-its-kind in the industry and the agency’s flagship initiative, Lowe Lintas Apprenticeship Programme (LLAP) which brought unique talent from across the country to the advertising industry. Heather launched her HR career with the agency (then known as Lowe Lintas + Partners) back in 2005, when she switched from a senior client servicing role, to become VP HR for the agency. She has subsequently held CHRO positions with The UTV Group (before its acquisition by Disney) and The 120 Media Collective, and has provided strategic HR consulting services for various companies in India and overseas. Her move back to the Group coincides with a renewed focus on meaningful integration at all levels of the business. Virat Tandon, Group CEO, MullenLowe Lintas Group said, “We could not imagine an HR leader better suited for the task, given our vision of hyper-bundled solutions for the future, and the need for extreme agility as we integrate the various parts of our offering. Heather’s experience across diverse media businesses, including traditional and digital advertising, production, movies, TV, and content make her perfectly placed to help us shape our existing people for the future and also attract the very best talent in the industry”. 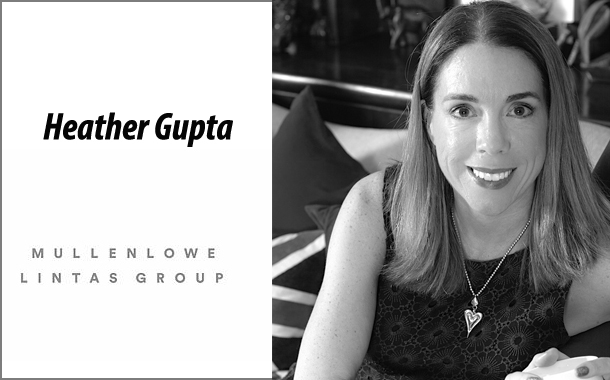 Commenting on her appointment, Heather Gupta, Group HR Director, MullenLowe Lintas Group said, “I am thrilled to be returning to Lintas Group, after a journey of several years on a sharp learning curve across the media spectrum. Lintas is a special place with a strong identity and emotional resonance, and the company’s vision for the future is incredibly exciting”. While Michelle Suradkar will continue to help with some special projects until June 2019, Heather Gupta will take over the HR operations with immediate effect.